Colombo Chief Magistrate Gihan Pilapitiya yesterday released a suspect charged for threatening through Facebook to slay President Maithripala Sirisena and PM Ranil Wickremesinghe after he had accepted his offence. The Colombo Chief Magistrate also sternly warned the suspect against his future conduct after he was arrested by the CID before being produced at the Colombo Chief Magistrate Court. The suspect who was released was identified as Lakmana Kumara Lakmana a resident of Yakkala. 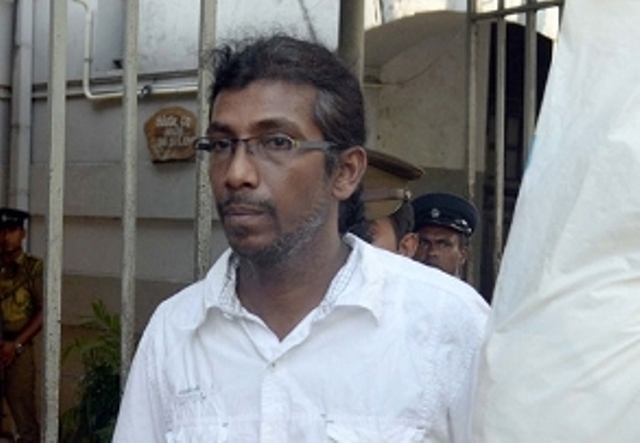 The CID had brought charges against the suspect concerned stating that he had violated clause 484 of the Penal Code......for having maintained an account on his Facebook titled 'Sumal Lakmana' before releasing a video on his web page on 5 February 2016 through which he had allegedly vowed to assassinate both the President and the PM and coaxing the security forces towards that nefarious act. The CID in its complaint to the Court had stated that the suspect had also allegedly termed both the President and the PM as effeminate and thus degrading their status, as well as the esteem with which their offices are held by the people of the country. The CID had also stated that by issuing a direct death threat to both leaders the suspect had violated clause 486 of the Penal Code hence having committed punishable offences in a Court of law. The suspect accepted full responsibility to the charges levelled against him. Afterwards the Colombo Chief Magistrate decided to release the suspect from the charges but after having issued a stern warning.